Oh my, I’m a one man Support Center! As some of you know, I spend more time on developing tools than on playing EVE. But development of tools is not just about programming. Yup, this is just one weekend of messages! I hope it answers at least some of your inquiries! A few months ago I looked at the Ore Value chart in LMeve and found out their value was something quite different from what was designed by the CCP, namely medium value ores were on the top, while the ones supposed to be the best were actually somewhere in the middle. Mercoxite holds the first place, Bistot is next, with Arkonor and Crokite just behind. In short: ABC ores are again a thing! Speaking of high sec ores, there were some changes there. The first place these days belongs to Scordite, with Omber - again - closing the table. Can I check the value of ores myself? Sure! If you would like to check the ore values yourself, feel free to do so using LMeve Database. Just remember to sort by the last column. PS. If you are interested in the current shape of the New Eden economy, a friend from Aideron Robotics, Lockefox is running a weekly show, EVE Prosper Market Show which is really cool and I really recommend it! Does Eve need attributes? It's been discussed a lot recently. Unlike other MMO's your characters attributes don't make a difference in day-to-day gameplay. They simply set how fast you train a skill. Is it time to remove attributes from the game or totally revamp their purpose? Do they add a level of complexity to the game that is not needed? If you really need to use a 3rd party application to get the most from it should it be in the game? Should they be repurposed with each attribute adding a modifier to your ship? Are attributes a relic from the past or are they an important part of Eve - You make your decision and deal with the consequences? Banter on! It's been a while since the last time I took part in one of the blog banters, but it's the high time I get back on track, so... here we go! If not Attributes, then what? I'm not a professional game designer, but I could name myself an armchair/amateur one. I did design a few progression systems for games that I've never had time to finish, and I love analyzing games that I play from game design perspective. So I will try to get into CCP Fozzie's shoes and attempt to reblance the current Attributes system. There used to be a third element - learning skills - but they didn't add meaningful gameplay and have been removed from the game. As you can see, some skill groups have multiple primary/secondary attributes pair. We will have to dumb down simplify that in our new system! In the new system we will get rid of attributes completely. Everything will now be up to implants! Implants will give a percentage bonus to training time of specific skill groups. This is a data processing unit implanted in the Parietal lobe. This image processor is implanted in the occipital lobe. This advanced implant bridges specific regions of the brain to improve pilot's cognitive abilities which result in improved training times for Spaceship Command skills. Each character will start with Neuroplasticity Enhancer chosen at character creation time. It will be already plugged in to prevent character rolling abuse. Additional Neuroplasticity Enhancers will be available from LP Stores for 90.000 LP and 90M ISK (this should be adjusted with how much of ISK sink the economy needs - IMHO 90M might be even a little too low with current PLEX inflation). It seems we just got rid of the attributes and reduced complexity of the game, while preserving similar training times (actually, improved it by 0.5%). We have additionally added an ISK sink the economy needs! But really? Is this really a simpler solution? In my opinion it is not, because to find which implants affect which skill group, you will now have to dig trough all of them, and read carefully. Does the game really need more careful reading and a more complicated system just to get rid of some old fashioned character attributes? Does EVE need a less flexible remap system? Please mind the new Neuroplasticity Enhancers would not allow to set attributes gradually like remaps do now; it's either maxed out, or no go at all. And do we really need 11 new expensive implants? To make players even more risk averse? PS. If I ditched Neuroplasticity Enhancers and used 2250 SP/hour as a base learning rate, the above revamp would actually work! Most of the players don't realize that almost all third party apps need to be updated every time there is a new release of EVE. 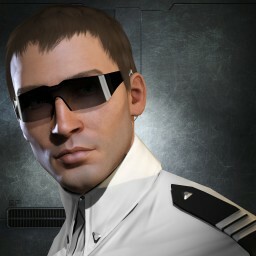 This is because of the Static Data - a special database made by CCP and released to the third party developers of EVE. It used to happen two to four times a year, but with the new release cadence it now happens every 5 weeks. Usually the process is rather simple: CCP releases a MS SQL backup with the static data (plus some tables in YAML files), then Steve Ronuken (rather famous third party developer and a CSM member) combines both MS SQL and YAML files into one databse and converts it to several formats, such as MySQL (by far the most popular one), PostgreSQL and SQLite. What does this mean for a regular EVE Online player? Most of the third party apps will be stuck on Carnyx static database, meaning there will be no Hecate or new missile modules there. We have to wait until CCP rectifies the situation, so Steve can convert the DB for the rest of third party devs. Maybe it would be a good idea for CCP to consider releasing a complete database in all popular formats (or at least one), instead of data being scattered between MS SQL backup and several YAML files?